The Colorado Trail was one trip where planning was important, but so was being open to the unknown. Not every adventure goes according to plan, but if it is not planned, the adventure might never go. This is the sentiment that occurred to me, not all at once, at some point in college. I was, and still try to be, of the spontaneous sort. I don’t mind a good flying by the seat of my pants. Life should be filled with magic and serendipity. It should be a “choose your own adventure” book – you don’t know what life has in store for you next until you turn the page. But adventure and spontaneity still require a catalyst. And often, that catalyst is the inkling of a plan. I first moved to Durango as a clueless 19-year-old. I was certain of very few things. I knew that I loved the mountains, didn’t like school and needed to stay in school because I had no idea what I wanted to do with my life besides go mountain biking and snowboarding. I arrived in Colorado with most of the proper equipment and waited for the spontaneity to happen. And, to be fair, there certainly was some adventure. I was smart enough to join the Fort Lewis College mountain bike team, which took me traveling all over my new state. I saw new mountain ranges. Explored new towns. Fell in love with new trails. And did some really stupid, fun, irresponsible things. But these were not my adventures. I was just a follower; a participant. I was not driving my own life ... just along for the ride. If no one else was doing the planning, I rarely went farther than the trails behind my apartment. Was this what spontaneous and magical adventure was? At some point, the fog lifted from my young brain. If I wanted to really choose my own adventure, I had to stimulate the catalyst. I had to start planning. This wasn’t a lucid thought but rather a long, largely unnoticed transformation. Really, one day I turned around and there I was – the reluctant leader of our next adventure. If you want something done, you have to do it yourself. My life was transformed. You see, the reason I never enjoyed planning when I was younger is that nothing is ever quite as exciting when it goes according to plan. Spontaneity and serendipity are forms of art. Planning seems to lend itself to the exactness of science. To be clear, I have nothing against the sciences: I am fully committed to the laws of physics, intrigued by the growth and function of living organisms and even teach science to folks via outdoor education. Despite planning’s potential for boring exactness, it could lead to the art of misadventure. Nowadays, knowing that not every adventure goes according to plan but if it is not planned the adventure might never go, I am obsessed with planning new adventures. Some I plan an hour before, some months in advance. Here in the San Juan mountains, my favorite season is what I call clear tundra season – the time of year when the tundra is snow-free. So I have this planned out months ahead of time. If you want me to set aside a day in July, you should have asked me last year. What’s my point? 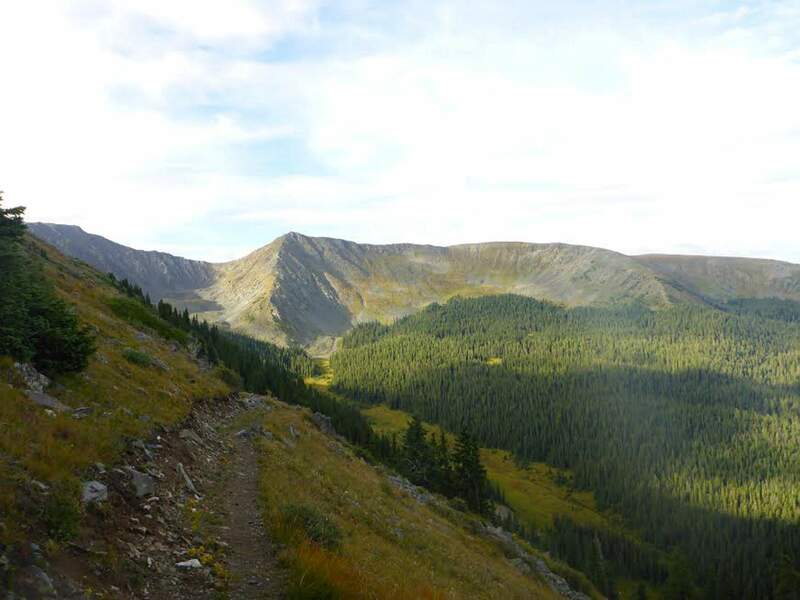 Here’s an example: My husband and I spent months planning to hike the Colorado Trail. We had an exact time line, including daily mileages and camp spots, boxes of meticulously portioned food, friends lined up to help with resupplies and contingency plans if we needed to send our dogs home early (which we did). We were grateful for such a fastidious plan. Our resupplies went flawlessly. Having a daily mileage goal kept me motivated. We finished on the exact date we had planned and had a day to recover afterwards. But those were not the exciting parts of the trip. The excitement still came from the unexpected wonders and misadventures along the way. Ten days into the trip, along the West Collegiate route, we came across a sign telling us that we could detour onto a 26 mile reroute that contained 20 miles of new single track on the Continental Divide. The old route consisted of dirt roads and motorized double track. Any adventurous soul would have opted for the mapless reroute. For two days, we would not be certain of where we could find water or if there was a good camp. But within 2 miles, we saw out first moose of the trip. We slept on the Continental Divide that night in a flattish depression out of the wind. The next day, we were caught in a lightning storm above tree line at 9 in the morning. We pulled our tent over us and hunkered down right there in the open. I can assure you, it’s not scary when it’s actually happening because there is absolutely nothing you can do. And the lakes, flowers, mountains and pikas seemed slightly more wonderful on this mysterious path. There was more excitement on this unknown, unplanned way. We were flying by the seats of our pants. So, please make a plan. Make a good plan. If nothing else, remember the six P’s: proper planning prevents piss poor performance. Use scientific tools to check the weather forecast. You can even plan to explore geologic structures and treat your water with scientifically proven methods. But even the most exact of science is susceptible to the occasional chaos. Sometimes, a catalyst might disrupt the normally predictable into a whirl of serendipitous wonder. Or, you might have to hike home with duct tape and p-cord holding your shoe together. 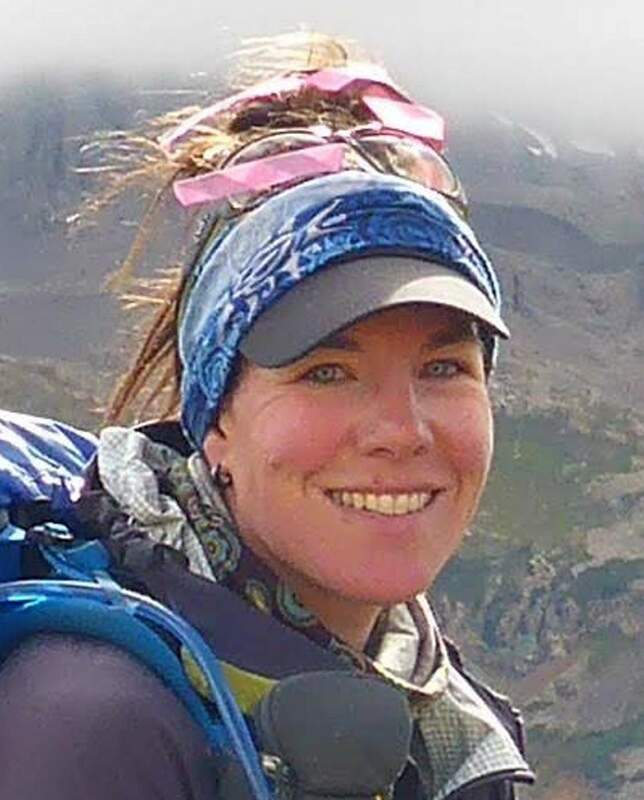 MK Gunn is the program assistant at San Juan Mountains Association. Her book of short stories, Zero Chance of Rain and other Tales of Misadventure, is due out in 2018. She implores you to expect the unexpected.